Managing race events can really shake up your stress levels. With so much on your plate, finding time to relax often ends up at the bottom of your to-do list. The holiday season is the perfect opportunity to have some guilt-free relaxation time. Better yet, making the effort to mentally and physically relax will help you function better in the New Year. Here are some relaxation techniques that will help you replenish your energy stores during the coming weeks. This might sound like a no brainer, but finding time for regular exercise will help counteract the effects of festive over-eating and will keep your energy levels up. Whether you like going for a run, walking the dog, practicing yoga or swimming, getting out and about will help keep your stress levels in check by releasing calming beta-endorphins. Exercising during the holiday season will help your blood circulate more quickly, transporting cortisol (the stress hormone) to your kidneys and flushing it out of your system. Our days are packed with demands on our time – whether it’s unopened emails, phone calls, social media alerts or sms messages. Taking just ten minutes to switch off all technology – phones, computers, iPods, iPads and TV’s and breathing deeply, can really help us clear our minds. Try this out: Find a quiet calm place, close your eyes and breathe in deeply through your nose and slowly out through your mouth ten times. You can say each number (1-10) aloud as you exhale if it helps you focus. This repetition will help you break away from the train of thought that is causing you anxiety and with practice you’ll find it much easier to mediate and will quickly feel relaxed. Activities like yoga and Tai Chi deliver a therapeutic effect on the body and mind by allowing you to focus on your body, breathing properly and engaging your muscles. If you don’t have time for a yoga class, you can take 15 minutes to stretch out to release tension from the body and relax your mind. Start by going somewhere with no distractions and while sitting or lying down, close your eyes and focus on slow deep breathing. Start by stretching different muscle groups for a few seconds and then relax. Repeat a couple of times and remember deep muscle relaxation becomes easier with practice. Face – squint your eyebrows together in a tight frown, then release. Neck – gently tilt your head forwards, pushing your chin down towards your chest, then slowly lift again. Shoulders – pull them up towards your ears, then relax them downwards. Chest – breathe slowly and deeply into your diaphragm, so that you use the whole of your lungs. Then slowly breathe out, allowing your belly to deflate as you exhale. Arms – stretch your arms away from the body, reach, then relax. Legs – push your toes away from the body, then pull them towards the body, then relax. Spending time doing your favourite creative hobby, whether it’s painting, playing an instrument, gardening or knitting; it’s a highly effective relaxation technique. When we do a creative task that we enjoy, we give ourselves something to focus our mental energy on, helping us channel whatever stress, anxiety, pain or tension we’re feeling into this creative pursuit. Keep a journal Keeping a journal is an underrated relaxation technique. Journaling allows us to organise our thoughts, clear our mind and facilitates problem solving. Putting our problems and worries on paper can give us clarity around what’s important when we’re feeling overwhelmed. Simply jotting down all the tasks we need to do and dissecting them is enough to help us release tension. Writing down your goals, hopes, plans and ideas can help you reflect on them and can inspire you to think and find possible solutions. Research has shown time and time again that a healthy breakfast is associated with reduced stress and improved physical and mental health. While you might be indulging later on in the day, make sure you start your day with a healthy breakfast. Having a diet low in B vitamins, vitamin C, calcium and magnesium is stressful to your body. Fight back by eating a nutrient- rich breakfast. Try including fresh orange juice, grape fruit, low-fat yogurt and whole grain bread with peanut butter, to get your fix of vitamin C, B Vitamins and fatty acids that will help decrease the production of stress hormones. Many race directors work long hours and compromise sleep in the lead up to events. If you’ve been missing out on sleep, your body interprets sleep deprivation as a major stressor. Use the holiday season to catch up on some shut eye. The National Sleep Foundation recommends 7 to 9 hours of sleep. The good news is that if you’ve been lacking in sleep recently, a few nights of good sleep is enough to reset your stress producing hormones and will help you feel more relaxed during the day. Did you know that you can train yourself to laugh more? Laughter is a great method of relaxing. Make sure you find time to watch a funny movie or play games with friends and family because the immediate physical effects of laughing are incredible. When you laugh you enhance your intake of oxygen-rich air, stimulating your heart, lungs and muscles, increasing the endorphins released by your brain. Laughing also stimulates circulation and aids muscle recovery, reducing the physical symptoms of stress. Now where’s that Anchorman DVD? If you’re feeling stressed and you need to settle your mood, listening to classical music can help you focus and balance your mood. The melodies in classical music provide a distraction that reduces muscle tension and decreases the levels of the stress hormone cortisol. If you’ve got a lot of car journeys or traveling during the holiday season, tune in to Mozart to lower your stress levels. Research shows that this also helps your communication skills, creativity and task performance. One of the simplest relaxation techniques is to spend time with friends and family. If you’re feeling overwhelmed, meeting up with friends can provide you with the distraction and perspective you need to steer away from tension and feel relaxed. Talking to loves ones, going for group bike rides and just hanging out boosts the feel-good hormone oxytocin. Make sure you schedule time this holiday to meet up with those who put a smile on your face. You’ll feel more relaxed in no time. Aaron Palaian is founder and owner of Onurmark Productions, Houston’s largest event production company, founded in 2007. Palaian is fiercely proud, not only of the size of his events, which are some of Houston’s biggest, but of the quality. Well-known for putting on a professional and safe event, Onurmark brings back participants year after year. How did you begin working in the endurance field? I was an art teacher for four years. For two of those years I was working two jobs, one as an art teacher and the other as a race director. I was working 80 hours a week at that point. Which event did you start with and what's your strategy for the future? I started with triathlons and there really wasn’t a better place. Houston has one of the largest cities in the country and the largest – if not the largest – populations of triathletes. In 2007, companies here were not using a lot of marketing, so I saw a real opening. Since that time, I’ve tried to diversify into other areas like half marathons. Ultimately, I would like to expand throughout the state and nation but I want to be smart about it and scale it right. At the moment, we want to focus on quality over quantity. It could be in the next 2 years or the next 10. We’ll see how it goes. What set of marketing tactics have been the most effective for you. How do you reach your target audience? Back in the day, like 7 years ago, we used to do things as grass roots as putting flyers on cars. But we stopped doing that when we kept seeing a 20% growth rate just from doing email blasts and Facebook. Now, that’s our primary source of marketing. I have a very large Facebook following, by comparison, to some other Triathlons. I’ve also been fortunate to partner with people who have helped me grow my email list. We’ve got 40,000 people on the list. That’s a big list and that’s helped a lot. Recently, though, we’ve realized that there’s such an abundance of events, and the market is so saturated, that you have to be the one that gets in their face the most. Every type of advertising, no matter how big you become, is valuable. To maintain our customer base, we really have to reach new people, so we’re going back to some grass roots stuff too. Are you changing the way you target first-timers vs. seasoned participants? A lot of seasoned triathletes have done our events, so we just need to remind them to register, register, register. Once people have done our event, we feel like we’re known for quality and organization and they’ll come back as long as we remind them. A new customer, however, doesn’t know why they should choose our event over another, so gaining new customers has become more of a challenge. We have to get them out to our events so they can see the quality for themselves. What has helped you become successful in managing complex operations? Without question, it’s my crew. I wouldn’t be where I am today without the people around me. In the beginning I wasn’t organized and they have forced me to become organized. Now I can’t live without them. But I chose not to recruit just volunteers. I couldn’t just be the race director and have just volunteers. Starting in the 2nd year, I hired coordinators to be in charge of specific areas. We also have a large group of volunteers – but I realized I needed a paid staff. And they have made all of the difference. So it’s myself, an assistant race director, a small staff of coordinators and a group of 400 volunteers for each event. I really wouldn’t be where I am without my staff. I’m like a conductor in a symphony. I wave my arms around, but they really make the magic happen. What differentiates an Onurmark event from other events? Very few events do what we do in terms of putting on a professional event. One thing that we really pride ourselves on is safety. We do traffic control right. Our number one priority is keeping people safe. Anyone can give you a bigger bag of race goodies, but that doesn’t matter if you get hurt. We have cones, boards, signs, barricades and police. And we own our own equipment, so that helps. We also notify the neighborhood about what will be going on, and we pride ourselves on information. Our websites and digital guides have more information than you’d ever need. Some people hang their hat on what they give away. That’s not us. We pride ourselves on a quality event. As I mentioned, I think having my own equipment has really helped me as well. I rent out equipment and do consulting too. Why did you decide to use ACTIVE Network and how long have you used them? I’ve been with ACTIVE for 6 of my 7 years in the field. Now, more than ever, the system is the most intuitive and easy-to-use. And a lot of race directors use it. Plus, everyone goes to ACTIVE.com to search for events. The marketing value and search engine value of that alone are worth the price. I think you’re crazy for giving it away. That’s the equivalent of Google for this sport. The support is also great. If I want something done, I get the support I need from ACTIVE. The professionalism in general is better and the user base is much larger than any other registration portal. I don’t like being with someone who copies the trailblazer and puts a different spin it. ACTIVE was the trailblazer in this space. What advice would you give to a race director who is just starting out? Would you do anything different? No. Every step I’ve taken, every path that I’ve been on has led me to where I am, and I like where I am. Even the struggles and stressful races. It’s a lot harder now, though, because there are so many events. I’m established and that’s a big part of how I stay successful now. As for advice, I’d tell them to focus on quality over quantity. I’ve seen some race directors putting on 6 events in the first year. That’s too fast. Take your time and do it right. That could mean the difference between success and failure in the end. Event Director of the Month - July 2014: Beth Salinger, Endurance Marketing Inc.
Beth Salinger is the Chief Event Officer and founder of Endurance Marketing Inc. From concept development to planning, execution and everything in between; she leads a passionate team of event managers to deliver memorable experiences for participants. Her clients include the Rite Aid Cleveland Marathon, Hospital Hill Run, All American Marathon, Fort2Base Race and more. I didn’t plan on becoming an event director! I have an English and Communications degree and worked in PR right out of college. I hated it and moved into the IT industry–I designed wide-area networks for Fortune 500 companies, mostly banks and law firms. When the tech industry crashed in 2001, I started freelancing for small businesses and one of my first customers was the Washington DC Marathon. I designed and installed the DC Marathon’s network and it was clear they also needed help with online registration. At that time, there were only a few companies who provided online registration and I chose ACTIVE, so I’ve worked with you guys for a long time. The marathon also needed help with timing, so I took that on…and then they asked me to manage the expo (which I sold out!). I ended up working for the event part-time and discovered I had a gift for event management. I loved the energy in the running world—people are happy and doing something that’s personally fulfilling. At what point did you establish your own company, Endurance Marketing Inc.? I was working part-time for the Washington DC Marathon and we had been successful in 2002, our inaugural year. But in 2003, the event was cancelled just days before the race due to the start of the Iraq War. The marathon could not survive financially and it looked like I was out of a job. Rick Nealis, director of the Marine Corps Marathon, called me and encouraged me to go out on my own. He even offered to be a reference. I took his advice and started Endurance Marketing Inc. in May 2003. That’s where it all started and I’ve grown my company almost entirely through word of mouth. To this day I consider Rick a good friend and adviser. Who else has been a major influence on your career? This is my 11th year working with the Rite Aid Cleveland Marathon and Jack Staph, the Executive Race Director, taught me a lot about how to be a businesswoman. He always emphasises that while we’re having fun and making dreams come true, this is a business. Be professional, pay your bills on time, and don’t promise what you can’t deliver. This business-focused approach to event directing has been incredibly important to my career. I also worked closely with John Bingham, owner of John Bingham Racing LLC and the Chicago Distance Classic. (I was the event director for 6 years before the event was bought by Competitor Group.) John is all about customer service. He doesn’t believe in using “info@” email addresses and posted his personal email on the website. People were shocked that he spent so much time responding to emails, but he was adamant about the importance of that 1-1 interaction. As he said, “people will be loyal for life if you take five minutes to answer them,” and he was right. All the races I direct have my personal email and phone number posted and I try to instill the importance of that personal connection with all the people I work with. How do you approach your relationships with vendors, sponsors, host cities, etc.? I don’t have vendors, I have partners. If I have a problem, I want my partners to be just as invested in my event as I am. For example, both the event name and ACTIVE’s name are on the registration system—our success is tied together. It’s a partnership. Whether it’s a sponsor, partner, charity, client, or city official, it’s important to have a conversation around goals and how to meet them as a team. For example, if a city wants to promote green initiatives, we’ll make sure to operate as “clean” as possible and get sponsors to support that. And if we make a mistake, we fix it. What are some pieces of advice to offer other race directors? If you don’t live there already, spend a ton of time in your event cities. Get to know the flavor of the city and its ins and outs. I’m so comfortable in the places I work in that I can give driving directions and restaurants suggestions. You don’t ever want to say “I don’t know” to a question about a city where your event is located. Treat your very first participant and very last participant exactly the same. You want it to be a great experience for everyone. No one finishes last in our events–we don’t even pull down the pace clocks or water stations until everyone has gone by. And don’t overextend yourself just to increase numbers. It’s not worth getting an extra $100 to let in one more person, and then the back-of-the-packer who registered months in advance doesn’t get a medal. Stick to your plans and don’t make exceptions. Finally have fun! Running is fun and we are so lucky to work in this world! Learn more about Endurance Marketing Inc. The endurance events landscape is constantly changing, which means keeping up with industry trends is no mean feat. Event organisers rarely have time to sit down and analyse the trends that are impacting their industry. Many race directors have full-time day jobs and they don’t get a chance to attend targeted industry events for those in the sports events sector. ACTIVE Network’s Race Director Industry Forums fill that gap! ACTIVE organised over 20 Industry Forums across North America, The UK, Singapore and Hong Kong this year. The Forums give event organisers across the globe a chance to network and learn about the major trends affecting their events in a refreshingly informal, interactive setting. Our Industry Forums outside North America now include a number of industry experts as guest speakers. We’ve heard from event marketing experts Alistair Gammell, MD of Earnest Agency; Mike Imre, Co-Founder of Blue Post Digital; and landmark event organisers, such as: Dennis Ng, Executive Director of the Hong Kong Amateur Athletic Association; and Sem Phalla, MD of the Angkor Wat International Half Marathon. The upcoming Sydney and Melbourne Forums will feature: Nick Munting, Director at X-Tri and The Color Run; and David Culbert, Owner at Jump Media & Marketing. We are looking forward to hearing these speakers share their expertise! “Fantastic, learnt lots and good to hear experts in our industry.” Tiffany Creasey, British Military Fitness, The Major Series, attended the London Forum. “Really good to share more of ACTIVE’s learnings worldwide. Inspired thoughts.” Ruth Bowen, CLIC Sargent, attended the Bristol Forum. “Great information, informative professional presenters, definitely would like to participate again.” Rachel Lengelotti, ORION Racing, attended the Atlanta Forum. “Meeting organisers from different countries gave me a lot of insight about what to do this year.” Ahmad Nazmie Hj Omar, BIBD Charity Expedition, attended the Singapore Forum. “Packed with market trends and insights…very useful for event planning.” Oscar Choi, Hong Kong Marathon Secretariat, attended the Hong Kong Forum. We like to celebrate the success of race directors around the globe and their contribution to making the world a more active place. So this month we caught up with Stuart Hamilton, who’s taken the Original Mountain Marathon’s race series to new heights with rapid international expansion and the addition of OMM Japan. Since 1968 the OMM has remained the original mountain marathon. It is a test of self-sufficiency, of self-reliance and endurance. With a race series comprising seven events in four different countries at present, OMM is set to expand to bring affordable and exceptionally well organised racing across the world. Stuart, how did you get started in the business? I’m a former Royal Marine and also a member of the British Navy ski team. I’ve always been into sport and when I decided that I’d had enough of being shot at, I needed something that would maintain my interest and excitement in the job. How long have you been involved with the OMM? I’ve been involved with OMM for four years, since 2010. The company has evolved and now boasts a full international race series, which I am in the process of expanding due to the success that we’ve seen with the original OMM (25 & 26 Oct 2014) and the other races in our portfolio. What were the biggest changes in the industry you noticed in 2013? The biggest change in the industry that I’ve noticed is that people want to register online at the very last minute and race same weekend. Obviously, this is not always possible for more complicated and challenging events like the OMM. I’ve also noticed that due to the increased breadth of available races/challenges that the discerning factor is increasingly the quality of organisation behind the event. Since 1968 we have dedicated ourselves to providing the best mountain marathons available. What do you think is in store for you and the industry in 2014? I wish that I could see into the future for the industry. For OMM, there will be renewed focus on bike racing and expanding our race portfolio, which has been increased by the addition of OMM Japan. Do you have any advice to share with other event directors? c) Come and do the OMM this October and see how it’s done. Race Directors, do you want to take Stuart up on his challenge? Check out the OMM! The panel and audience discussion at the London Race Director Industry Forum threw up some useful points that Earnest and Bluepost have collated as a starting point for evaluating your current digital strategy. There was a general conclusion that most events have a number of great digital assets in place – from rich content to proactive social media engagement – but there is a definite opportunity to improve impact by connecting the dots more efficiently. The key to successful marketing is knowing who your audience is and reaching them in a way that changes their behaviour. This can be achieved through reaching your existing databases and potential audiences with dynamic pricing and great content, connecting them emotionally to your brand. By knowing which message works best with which audience, you can maximise your spend over a short period of time. Remember to use non-paid for channels first (partners, sponsors, PR, owned channels etc.) and work everything back to revenue. Whether interested site visitors are coming from ‘earned’ or ‘paid’ channels – they will judge (and ultimately sign up to) your event based on the content you publish. The data you can access for free (see above) can tell you what type of content creates engagement and conversion so you can tailor your content mix accordingly. There are very few sectors where passion for the product is this high and there’s a huge opportunity to learn from your community then to show them you are listening – improving retention and referrals over time. Your goal should be to make everyone who connects with your brand to become an advocate, sharing your message and bringing in others. Google alerts and simply following your competitors on social media channels can tell you plenty about what is working well in your given sector. If people are sharing content and talking about an event then consider how that compares to your own activity. If an event is ranking well on search engines then monitor the content that is generating that visibility. Digital marketing covers an awful lot of options and not all will be viable or indeed right for you. Working out your goals then setting them against budget and resource will enable you to identify the areas you can get the most out of initially. Less can certainly be more if you understand the audience and have a content plan to target them. Stagger your activity to allow you to do each effectively and giving you a better understanding of what works and what doesn’t. By understanding your audience channels, and tracking consistently you can constantly test and refine your marketing activity. A great piece of content can improve registrations while generating social comments and this can impact your search engine rankings. Looking for actions that can impact across multiple areas from the same basic effort will ensure you get the maximum from your input and from your marketing budget. There’s lots more to think about but starting with these core considerations should give you a platform to work with. If you would like to chat to the guys at Earnest and / or Bluepost they are always happy to share their thoughts on the right way to meet your specific challenges and opportunities. The BIBD Charity Expedition has expanded its reach from helping to raise funds for the victims of the 2011 Tsunami in Japan, to raising funds for sponsorship schemes aiding under-privileged children with their education and life-long learning from as early as primary stage up to university level. The 2013 BIBD Charity Expedition, organised by Ahmad Nazmie Hj Omar, consisted of 6 different sporting events, including a Charity Run and Charity Cycle. Over 6000 participants turned up to show their support for BIBD’s flagship event. We were interested to find out how they managed to organise such a large scale charitable event, attract so much support from the participants, and what’s to come for 2014. How did you get involved with the BIBD Charity Expedition? I graduated in health and social care, and I started working for BIBD in 2010. The Bank offered me a position in the CSR team; so when the tsunami happened in Japan, we gathered a team of 7-10 people together to see what we could do to help raise funds. We then brainstormed and discussed all our options and decided to put together a charity run. At the time, it felt like the fastest way to raise funds due to the time sensitivity of the matter. But we were wrong; time quickly passed and it was already a week after the occurrence of the tsunami, and we had already full committed to go all-out and raise as much for charity as we could. What were the main challenges you faced during your first event? The first year we faced quite a number of manageable obstacles. For example, due to time constraints, we didn’t consider any online registrations and race pack collection systems. We had a few difficulties when we were giving away the race entry packs. On the race entry pack day, all the participants were waiting for their race t- shirts, which were not delivered on time as the vendor was still making the t-shirts. We literally had to get into our cars, drive to the warehouse and pick it up ourselves. This meant half of our team went to pick up the race t-shirts, and the other half stayed with the participants at the pick-up point. Within two hours, we managed to get all the race t-shirts to the participants. We realised that the problem was also a result of not having the proper tables, race pack collection etc., because back then we were using paper-only registration. We also didn’t have any payment gateways which meant people could only pay for their registration over the counters. There was where we lost a lot of valuable time. Another more serious dilemma was regarding one of our competitive categories – the 10km category. The flag-off was fine, but as soon as the first runner had crossed the finishing line, we soon realised that we didn’t confirm the presence of our appointed time-recorders at the finishing line. We also didn’t source for timing chips, as we thought that we could use the gun time and record individually their times using a stopwatch. Obviously people complained, but eventually they got over it. Admittedly, we announced that it was our first ever event, and what we took away from the whole experience was far more important, especially regarding on having enough manpower to properly utilise, on top of the obstacles mentioned earlier. How has your role evolved from Event Coordinator in 2011 to Project Manager/Event Director in 2013? The first time coordinating the run was very challenging, but I have learned a lot of things along the way. 2011 was my first time organising a run. I was not active in sports at the time, let alone a runner. From an event coordinator’s point-of-view, we had our ups and downs and some challenges during the first year. We obviously learned from our mistakes and put systems in place to improve the following year. The team around us powered through everything and we managed to put in place a better charity run, all arranged on time. Things have come such a long way since then. What were your main challenges in organising the 2013 race? Having ACTIVE on board as a partner for the second year, I was confident that we wouldn’t have the same sort of troubles as previously experienced. Having an online platform for people to register made things so much easier. There was minimal back-office and administration work, as registration was being handled by ACTIVE, and we needed to do was to just extract it from their database. The 2013 race came to us with such an overwhelming response which surpassed all our expectations. Herein lies our main challenge, whereas our second year saw our registration numbers more than double from an initial 1,000 registrants, 2013 saw our numbers almost triple to more than 5,000. It was safe to say that we were overwhelmed with the sheer number of participants. Nevertheless, we have prepared all the groundwork months before in anticipation of the challenges incurred in the first year. To further boost our capabilities as run organisers, The BIBD CSR team and I participated in a few external running events. It presented us with a different outlook as we had to open our eyes to see and learn what other event organisers were doing, the media platforms used to communicate, and race pack procedures. We learned a lot by doing this and improved on areas which we lacked. Not all events are perfect, but we saw where we could make changes and progressively improved. With the amount of work that you had to do, did it help having an online registration system that automated some of your tasks? Yes, it helped a lot. If I was to compare it with our very first event, we were up all night in our offices until 3am every single day for a week. We literally had physical paper forms and a computer in front of us. The only way we could input and extract data was to key in participants details one by one. That was pretty tough. We were forced to divide ourselves into groups to carry out all the tasks, and even asked for volunteers to help key in information. We also had a dedicated volunteer team to handle procurements, and race entry pack etc. ACTIVE has been a great help to us. Without ACTIVE, we wouldn’t have been able to more than double our registration numbers. Our event is mainly done for charities, so we also utilised the donation card feature last year which was really useful. From that, we managed to multiply the amount raised for our ALAF Fund by six times, outweighing the triple increase in number of participants. In the first year we managed to raise c. B$56,000 and managed to increased it to c. B$330,000 in our second year, which all went to charity. The BIBD Midnight Marathon runners managed to raise over $52,700. How much did you manage to raise in total for the charity? We went from raising B$330,000 (in 2012) to B$600,000 in 2013. We also had two groups of participant categories from which the funds were raised from. One large group was given donation cards while there was a select few for the 42KM categories who raised funds from a sponsorship program. We didn’t want to make a 42KM open category because we wanted our first time organising a 42Km run to be a success. Not only was it our first time, but a 42Km run has not been organised in Brunei for over a decade, which doesn’t help as Brunei doesn’t have a flat land mass. From my understanding, a proper 42Km needs to have 70-80% flat land. So, in order to manage expectations, we had to limit participation for the 42KM category to only 25 participants. The 42Km runners ran the sponsorship program, where we would advertise their profiles on the BIBD Charity Expedition website, www.bibdcharityexpedition.com, which showcases the reason why they were running. Some of them had never done a 42Km run, whereas others were seasoned runners. We hand-picked the selection of 25 participants, which were given an option to attend a running clinic and appointed a coach to aid them with their training efforts. Pictures of the participants of the participants were also posted on the website, along with their pledges. This was done so that any interested sponsor would select a runner for every km they ran. We also had a corporate category, where corporate bodies were required to donate a minimum of B$50 per km. There we also gained a lot of corporate sponsorship and support. So from 25 people, we managed to raise approximately more than B$50,000. If we compare that to our first event of raising a B$56,000 from 1000 participants, I would say our 2013 Charity Expedition was a major success. How did you attract so many sponsors and supporters for your race? We got the word out by using various platforms, including social media - Instagram, Facebook, and WhatsApp. The 42km participant profiles were also placed on Instagram with a link to our website. However, this was also an initiative carried out by the runners themselves as we encouraged them to approach corporate sponsors themselves. We provided the 25 participants with a letter stating that they were running the 42KM for a charity programme for underprivileged students (ALAF), reinforcing the uniqueness of our cause and that this was also the first 42KM race in more than a decade. With so many different stakeholders, did you find data/result reporting to be a challenge? We thought it would be an issue, but it wasn’t. Before we jumped into it we had a meeting with ACTIVE and we told them that we wanted our reporting to be intuitive and simple. We wanted to categorise the reports by sponsorship, (corporate sponsorship and individual sponsorship). ACTIVE made it happen and the reporting was a lot easier. The initiative was intended to change a child’s life by taking one step. What’s the next step for BIBD’s Charity Expedition in 2014? For 2014 - We are hoping to actually organise another event. From the overwhelming response we had last year and those who didn’t get to run the 42Km, we are still receiving messages and questions on our website – is the 42KM category going to be open this year? Will it be limited to 25 people? We haven’t decided yet, we might do an open 42Km because we have a lot of local and foreign runners who are interested in doing the 42km run category in Brunei. That would present a huge step for us. How are you planning to increase or drive more registrations and fundraising in 2014? A majority of our efforts will see us use a lot more of social media. ACTIVE’s Social Media integration and newsletters are hugely important platforms for us too. Also Google search results for ‘run’ and ‘event’ are really important. We also use our BIBD branches to promote our events, but we really want to grab the attention and interest of the international market as well. In 2012 we had about 55 international runners; in 2013 the number jumped to about 300 international runners. We would like to attract more of the international market and I think that ACTIVE can help us with that. Brunei is situated in a way that it is in the centre of Asia, so we can reach out to and attract a lot of people from neighbouring countries even further away, such as Australia. As a successful event organiser/director, what advice would you give to any aspiring race directors out there looking to organise their own charity event? It is going to be a challenging job! My advice would be to think about the event day, when people cross the line, think about and prepare for all eventualities. You have to learn what to point out, what you want done, and how it’s different from other events. You need a good team - a good committed team is essential to holding a successful event. Networking is also very important. For me, in the last three years, I’ve gotten to know a lot of people and that’s key. If you organise sporting events such as a run, triathlon, cycling event or others, there are some industry shows and conferences that enable you to promote your event, learn best practices, network with other professionals, potential partners, charities and sponsors and get the information you need to make your next race a success. We have compiled below a selection of the top international events across Europe and Asia-Pacific that you should consider to add to your calendar this year. Description: This is both a consumer and cycling industry event where the Annual International Cyclefit Symposium will be taking place. The symposium will focus on bikefit education and debate promoted amongst consumers and industry professionals. Description: The most recognised consumer and professionals event in the triathlon industry in the UK is being held twice this year, in South and North England. Description: The main cycling event in Ireland dedicated to the consumer and cycling professionals where there is opportunity to network with suppliers, media, charities, celebrity guests and top cyclists. Description: The expo takes place during the ITU World Triathlon competition and is a renown opportunity in the triathlon calendar for event professionals to meet participants and network with relevant professionals. Description: The show offers industry professionals the opportunity to showcase their services to thousands of consumers and meet over 3,000 members of the bike trade. Description: A key event for endurance event organisers, suppliers, event promoters in both Singapore and overseas. Description: With an eye on Asia, Sports Matters focuses on what the future of the industry will look like, who and what is driving it, and how the Asian region contributes to the global sports industry.Last year it attracted over 420 attendees from over 20 countries, including speakers, broadcasters and brands. Description: SCORE (Sports, Competition, Outdoor Recreation Expo) is the first diversified sports expo in Malaysia providing a platform for businesses involved in the sports and recreation-related industry to promote their products, activities and services. Description: Singapore Sports Expo (SSE) attracts serious marathon runners from all over the world. Last year it attracted 100,000 visitors with top-notch sports brands. Description: SBOSS is an event like no other, a unique opportunity, congregating board and executive level sports industry representatives from across the industry spectrum. Description: This sports and lifestyle expo will be held as part of the 2014 Barfoot & Thomson World Triathlon. Description: In addition to the 2 consumer days, Ausbike is the annual trade gathering of the Australian Cycling Industry where event organisers, retailers, manufacturers and more conduct the business of cycling. Description: The Noosa Sport and Lifestyle Expo will be held as part of Australia’s biggest Triathlon festival. With the continuous advancements in event production and the networking nature of the industry, event professionals must keep on top of their game. Finding out what’s hot and meeting who is influential often happens at trade shows, conferences and other events specifically for event professionals. Whether you live in Europe or in Asia-Pacific we have put together the hottest list of must attend international events in 2014! Description: AIME is the largest international business expo in Australia with over 750 exhibitors from 5 continents. It’s designed for those involved in organising business travel, meetings, incentives and events. Description: MEA is dedicated to servicing the needs of the meetings & events industry and promoting professionalism and excellence in all aspects of meetings and event management. It is the first time the Australian organisation holds the event internationally since Hong Kong in the year 2000. Description:The World's Only Double bill Event in MICE and Corporate Travel. Both events have been co-locating since 2004. The event offers its delegates an unparalleled platform to do business, learn and network. Description: Where international exhibitors of all sectors of the travel-value chain, Asia Pacific's leading travel companies, and emerging small and medium-sized enterprises meet with top international buyers from the MICE, Leisure and Corporate Travel markets. Description: This is the annual meeting place where the most innovative event products and services are released and an opportunity for event professionals to network. Description: The event that connects event organisers with venues, destinations, and event support services. Description: The International and European Associations Congress has become the annual meeting ground for association executives. Now the 12th event in the series, it has grown to be Europe's most authoritative educational programme. Description: IMEX 2014 is the show that innovates, inspires and presents new opportunities for the global meetings industry. Description: The event where the meetings industry will meet to do business, develop industry knowledge, catch up on the latest trends, establish new partnerships or simply re-establish old friendships. Description: Through highly-targeted introductions, EIBTM brings you face-to-face with the right people in the right organisations in order to build relations, develop your business and expand your knowledge. Over the past month ACTIVE Network has been giving event organisers the chance to win an Event Makeover by entering an online raffle. A full expert review of actionable items to maximise their event ROI. 1:1 training on how to successfully track, measure, and report on their event. Fully customisable assets created by our team of design and UX experts to promote their event online and offline! A next generation landing page to increase their event engagement and registrations. And last but not least, a 2 hour 1:1 training session on how to make the most of the latest online registration and participant management platforms to maximise their event registrations and performance. Think you missed your chance? Don’t worry! ACTIVE’s team of experts have been working on a little surprise for all those who weren’t selected or didn’t get a chance to participate – A Mini-Makeover Pack! 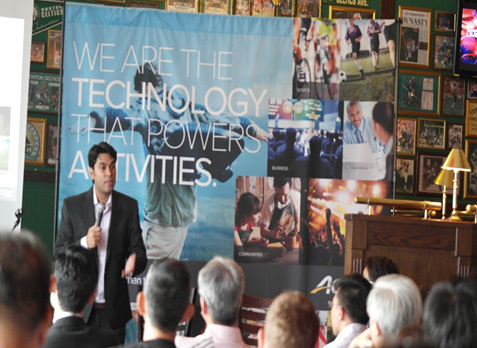 As we look on to the New Year, we’re excited about where our industry is headed and want to share the top 5 event technology trends for 2014 we think should be on your radar. Event planners continue to work in a high-stress, high-demand field – that is definitely not a new trend. But event technology designed to make their lives easier is absolutely at the top of our trends list. Moving away from multiple-point solutions to one consolidated platform (cloud software) is one of the most talked about topics in the meetings and events industry now and growing into the future. “We’re seeing over 50% of enterprises prioritising private cloud in 2013 to 2014, and there will likely be very few private clouds that don’t have a public [hybrid] component,” said Dave Bartoletti, analyst with Forrester Research Inc.
Companies are looking for ways to merge their event marketing and spend data to gain a better understanding of their business and apply those conclusions to improved business practices – such as more efficient event management and dynamic attendee experiences. Strategic Meetings Management (SMM) is starting to emerge in Europe, in which the German Convention Bureau revealed in a recent meetings and conventions study that 28.6% of respondents felt very strongly that globalisation will be influential in the future . Meeting organisers are progressing from just having a conversation about hybrid events, to now actually making them part of their event. Event webcasting and hybrid events are hitting a tipping point, especially now that real data exists to show their value. According to a recent Aberdeen Group report, 55% of companies surveyed plan to either start using or increase their use of virtual online events , in part as a way to show a meeting or event’s return on investment. According to MPI’s 2013 Q3 Business Barometer , innovative format and content delivery is a major meetings industry trend. It’s more important than ever to be creating content that adds value to your audience and ignites an interest and loyalty with them to your business. Content also plays a role in helping events attract attendees by building a “buyer’s vision” that addresses challenges and solutions . “The user is now at the top of the value chain. The consumer is deciding what they want to see and how they want to see it,” said Buzzfeed’s Jonathan Perelman, VP of Agency Strategy . Very true and you might already be aware of. But he adds on with something you’ll want to take with you into the New Year, about understanding how content travels online, “Data is useless unless you have insights on it… content is king but distribution is queen and she wears the pants.” Going back to Trend #2 on our list – get on board with Big Data! Feel free to share your own 2014 meeting and event predictions below. We wish you lots of success in the New Year! What next for MOB Events in 2014? 2013 was a phenomenal year for the worldwide expansion of MOB™ events. What is a MOB event? MOB stands for non-traditional, hyper social, experiential events, combining Mud Runs, Obstacles and Beers and more. The first real MOB event, the Spartan Race, took place in 2005 and since then MOB events have been multiplying across the globe. In 2013 leading MOB event brands such as the Color Run and the Electric Run were a success in countries all over the world. What will 2014 have in store for MOB events? The popularity of Mob events shows no signs of vanishing. A recent 2013 survey answered by 1200+ members of the ACTIVE.com community indicated that 86% of those surveyed were planning to participate in MOB events in 2014. More than half of those surveyed (64%) also indicated that they plan to participate in 1 to 2 events in the next year. Why are participants so drawn to MOB events? A majority of participants (86%) surveyed cite the ‘fun factor’ as being the main reason for them signing up for these events. The survey results also revealed that team participation is extremely popular, with team participation growing by 25% year-on-year. From the organisers’ perspective, MOB events are becoming a powerful alternative to traditional endurance events in developed endurance markets. In countries like Australia and Singapore, event organisers are increasingly competing to have a unique event date. The pressure to differentiate their events from the competition is ensuring that organisers are becoming even more creative in their approach. In Singapore alone from December 2013 to early 2014 new event formats such as the military style Commando Challenge, zombie fun runs such as Run for your lives and electric wonderland experiences such as The Electric Run are taking place for the first time. 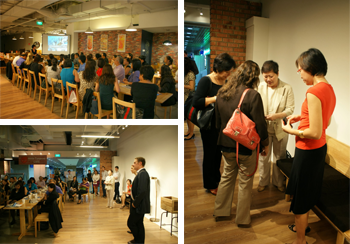 In other countries such as Hong Kong, the major trend in 2014 will be the growth of charity events. Events such as The Prodigy Running Skirt Chaser, the International Beer Dash and the Cyberport Run for Rehab are all providing different event experiences to raise funds for an important cause. MOB events in the UK have also been growing at an incredible rate. With an average 400% growth since 2011, some of the most popular being Rock Solid Race, Commando Challenge and X Runner. Over 50% of MOB events organised throughout the UK are connected to a charity and have thus become a new fundraising source for good causes. What will be the major driver for MOB events in 2014? The novelty and fun factor is what initially attracts first time MOB-sters, however, the 2013 ACTIVE survey showed that a key motivator for many participants was the chance to spend time with their friends.. The survey also showed that 55% of participants post photos on Facebook and 34% hear about the events on social media. It’s clear that social media will continue to drive participation and engagement in 2014. With more MOB events taking place in new locations, it’s time to get your MOB team ready for 2014! Another exciting year for MOB events is on the way. Small events usually require about 2 months of preparation where-as more complex events will need at least 6 months of planning before the big day. Get your copy of The Event Planning Life Cycle info-graphic and make sure you get your timings right! No matter how large or small the event, there are several key steps that you will need to climb in order to dress your event for success. Step 1: Define your event goals and set budgets. Step 2: Find a location for your event; this will be used to determine your maximum registration number depending on the location capacity. Contact service providers and contractors to obtain quotes. Step 3: Define your pricing structured based on quotes and cost obtained. Prepare a draft event schedule or agenda. Step 4: Go paperless and set-up your online registration forms and design your event website. Step 5: Perform a walk-through of your event; this will ensure that you do not miss anything and identify areas that may need improvement. Step 6: Once your event details have been determined, send out email invitations to your distribution lists letting them know when you will be open for registrations. Providing early bird offers will entice early sign-ups for your event. Step 7: Open your online registration and encourage registrants to share and promote your event through their social media channels. Step 8: Finalise your schedules and event staff. Step 9: Ensure that you have all the print collateral that you require for your event. Step 10: It’s getting close to your event day; sending out email reminders will help minimise no-shows. Step 11: Remember to send event surveys out to all your attendees on the day of the event. This will help you obtain accurate feedback while the experience is still fresh. Step 12: The event may be over but your work isn’t! Create and share custom reports with event stakeholders so that you can make data-driven decisions about future events. 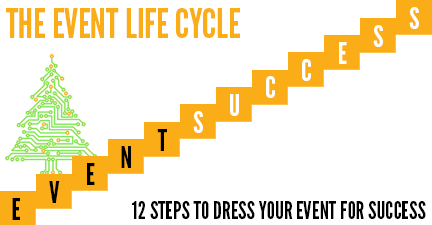 You can download your FREE copy of The Event Planning Life Cycle info-graphic so that you complete each step at the optimum time to ensure event success. We’re thrilled that our customers, Cisco and Adobe, were recognised for their achievements in meetings and events recently at Event Marketer magazine’s annual EventTech conference. Here’s a summary from Christine Gallatig-Ottow, who attended the EventTech Conference with our customers. With its hashtag trending nationally twice on Twitter during its event, it is easy to see why Cisco Live won the Gold EventTech Award for “Best Use of Social Media B-to-B” at the EventTech Conference in Las Vegas November 4-6. In a workshop, Kathleen Mudge, consultant and social media manager for Cisco Live, shared how Cisco Live 2013 reached 227 million social media impressions – an increase of almost double over the year before. 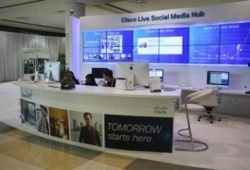 Cisco dedicated onsite space near registration for a very visible “Social Media Hub,” where Cisco Live attendees could view all event posts and activity on large screens, and interact with the social media team. Many would stop and tweet or post, and then take a picture of their post when they saw it on the ‘big screen”. Thus, online engagement turned into onsite engagement and vice-versa. The space also included a lounge area for those who wanted to set “meet or tweet-ups.” Mudge advised the hub played a major role in keeping the attendees networking and social media activity focused on the Cisco brand during the event. Measure outcomes and discuss insights. The services enabled the participants to maximise their experience at the conference and provided the data needed for more personalised lead nurturing, which led to a strong return on investment. Here are our top 5 tips to help prevent your event site being affected by Penguin 2.1 and avoid a decrease in your event registrations. 1. Make it relevant! Ensure that you post links to your event site or registration page on reputable event directories such as ACTIVE.com event listings. It’s important that your listing is on a site that’s relevant to your event; for example, if you’re organising a 10k, do not list your site on a directory specifically for medical conferences. It may sound like an extreme example, but in terms of SEO the concept of “any publicity is better than no publicity” is redundant. 2. Monitor your site traffic Use Google Analytics to monitor your event site’s organic traffic. If you see a dramatic decrease, it may be due to a Penguin update! If this is the case you will need to perform an audit of your backlinks (inbound links to your site) to find the culprit links. Check through your list of links and make sure that there is no spam or foreign links back to your site that you do not recognise. You should also check your backlinks to make sure that there are none with “Not Found” or “Error 404” status as these can also damage your search engine rankings. You should do this as soon as possible as it can take a few weeks for Google to update the information and leaving it to the last minute can have a negative impact on your registrations. 4. Don’t over-use keywords Limit excessive keyword rich anchor text links. Anchor links are used to provide a description of the link’s destination page. Although anchor links that contain specific keywords relating to your event are beneficial, encumbering your links with too many of these keywords can have a negative impact on your SEO. 5. Quantity or Quality? As far as Google is concerned, content is key! Avoid link schemes and cross linking offers. Creating relevant and unique content for your event site is the best way of ensuring SEO success. Make sure you promote your content on social media channels, your blog, and relevant LinkedIn groups for increased exposure. Remember, if you don’t want to be penalised by the penguin police, when it comes to content and links, it’s definitely quality over quantity! 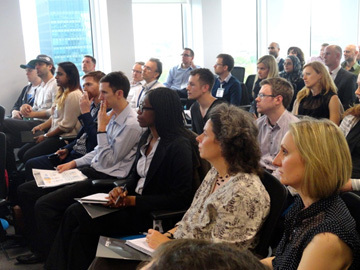 ACTIVE Network and JustGiving announced last week at an event held at ACTIVE Network offices in London to an audience of 29 charities, the debut of "The Event Fundraising Monitor: What's Next for Events?". This new report shares insights on fundraising for organised events. The report uses analysis of trends seen on ACTIVE Network and JustGiving's own platforms, combined with survey data conducted in September 2013 among fundraisers and charities throughout the UK. It has been launched as ACTIVE Network and JustGiving unveil a new integration on the ACTIVEWorks® technology platform, which allows event organisers to seamlessly manage registration and fundraising, helping charities to reach more supporters, raise more money and save time. "In 'The Event Fundraising Monitor' report we highlight a new opportunity for fundraisers with the emergence of MOB (Mud, obstacle, beer) events, a new type of event that's experiencing explosive growth globally and features hyper social activities, such as mud runs, obstacle courses, and adventure races," commented Sejal Pietrzak, Senior Vice President at ACTIVE Network. "While traditional endurance events continue to be popular, including the Prudential RideLondon which drew in more than 65,000 participants across the event weekend, we are also seeing the globalisation of events like The Electric Run and The Color Run, which present a tremendous opportunity to help philanthropic causes raise money." Charles Wells, Chief Marketing Officer at JustGiving adds, "The common thread among all of the events showing growth is that they each give their fundraisers unique stories to share online, generating great reasons for a participant to share his or her fundraising with their network. Not only that, but they help charities reach new supporters and drive sign-ups for future events - around 40% of our fundraisers among those surveyed tell us that since they've started fundraising, a friend or family member has got involved too." To download the full "The Event Fundraising Monitor" report, please visit http://www.activenetwork.co.uk/justgiving. Whether it’s your first day at school, first kiss or fist love, you always want your first time to be perfect, and your first event is no different. There may be blunders, heartache and a lot of back and forth, but planning your first event is a huge learning curve that will prepare and pave the way for your future career. So you’ve obtained your licenses and permits, arranged the venue, organised the catering, and gone through your health and safety plan with a fine toothcomb, but with all the excitement of your upcoming event, there are a few things that can easily be overlooked. Once you have ticked off everything on your Event Planner’s Checklist, here are some tips to help you build a successful event and boost your attendance. It’s no longer the 90’s and in order to keep up with the competition you need to offer your attendees easier ways of registering for your events. Paper-based registration can be costly and waste a lot of time, not to mention the hassle that it causes your attendees. It’s simple - to increase your registrations, make it easier to register. Provide your attendees with various options, including mobile optimised online registration forms that they can access from their mobile device no matter where they are. Am I on your list? An amazing event website and branded registration form will do wonders for your event, but you need to drive traffic to your forms. Maintaining and growing your marketing contact list is crucial to promoting your event. Sending out email invitations to your lists is a great way of getting the word out about your event and, when executed correctly, can help to boost your attendance. A good online event registration company will provide you with integrated email marketing tools so that you don’t need to outsource designers or have any prior knowledge of HTLM. Remember it’s not just a numbers game, don’t send out promotional materials and invites to anyone and everyone. Make sure that your marketing efforts are not wasted by performing thorough audience research before compiling your lists. Social media is a tool that every event planner should utilise to promote their events. Create a following on Twitter by promoting your event with its own hashtag. Hashtags are really a form of metadata tags which are used to mark messages and enable attendees or groups of people to access specific messages. Don’t get too hashtag-happy - assign one or two for your event. If used correctly your event’s hashtag can appear on the “Trending Topics” of a user’s homepage and increase traffic to your event site. Ensure you promote your event on other social channels such as Facebook, LinkedIn and your blog. Integrating social share buttons with your event site and registration page will also go a long way in increasing engagement and promoting your event. Make it safe and easy for attendees to pay to register for your event. Offer various online payment options as well as early-bird registration fees and group entry discounts as incentives. Early-bird discounts are a good way of ensuring that your event sells out at a faster rate, while also reducing the amount of work that your staff need to do in the days leading up to your event. Communicating updates and sharing engaging content with your attendees is always a must, but it’s also important to listen to feedback. Taking polls and organising surveys is an excellent way of gaining feedback before, during, and after your event. Your first event is a learning curve and obtaining feedback from your attendees can be used to optimise your future events. One thing that often gets overlooked is the reminder email. Sending an email reminder to your registrants will not only remind them of your event, but it will also help minimise no-shows; the last thing an event planner wants to see is an array of unused badges at the end of an event. One of the top questions people ask event directors is “how did you get here?” There’s really no magic recipe for success in starting out on your own. Everyone’s journey is different, but there are key elements to their success. If you’ve been sitting at your desk daydreaming about the glamorous life of owning your own events company, it’s time to wake up! Starting up any business can be brutal in this socioeconomic climate and to be successful you have face reality – hard work, long days (and nights), and a whole lot of networking! It’s not all doom and gloom, once you’ve taken the leap and decided to start, there are a few simple steps that you can follow to make sure that you stand out from your competition. Do you have event planning experience? Get experience - This is the first tip that you will come across when you want to start out. Although experience in the event planning industry can be extremely useful, it’s not essential. During your career you will have gained some transferrable skills that you can apply to your event planning career. The most important of these skills are ORGANISATION, TIME MANAGEMENT, CREATIVITY, NEGOTIATION, COMMUNICATION, and INTERPERSONAL SKILLS. STICK TO WHAT YOU KNOW! Remember to utilise your own personal experience when deciding what type of events you are going to specialise in. 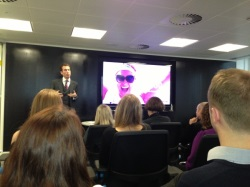 For example, if your background is corporate, then this is a great place to start, rather that organising sporting events. 2. It’s not what you know, it’s who you know! We’ve all heard it, and although what you know is important, sometimes who you know carries a lot of weight too, and in the world of event planning knowing the right people is a necessity! Social media is a great way of networking. LinkedIn is a superb example, join appropriate groups and participate in discussions. 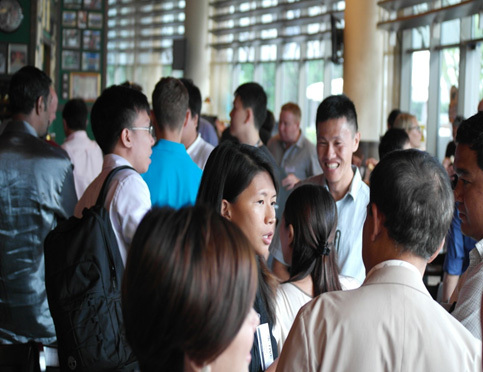 Attending seminars, exhibitions, and trade shows are also great ways of expanding your contacts and network. Tip: Going to a competitor’s event is also a good way of establishing contacts and obtaining supplier information. It can also give you an indication of potential sponsors that you can approach for your event. Every planner needs a solid business plan. This may be daunting, but you can obtain a business plan template from most banks when you go to enquire about setting up a business account. These templates are extremely useful as they contain all financial modelling templates that you will require to produce your year on year projections. Using the bank templates may also come in handy if you require bank funding for your business. When creating your plan, it’s essential that you do your market research! Knowing your audience and your competition is essential to finding your niche and in deciding how and where to promote your services. You can download an Audience/Persona Template and Competitor Research Template here for FREE. There’s no point coming up with a catchy name for your company if it’s not registered. Make sure that you register your company with the relevant body, for example, if you are in the UK you can simply register your company with Companies House. Remember, simply registering your company does not give you trade mark protection, this needs to be done separately. Get professional advice before registering a company as this will have implications on the type of financial records that you will need to keep for tax purposes. 5. What do you have to offer? 6. Get your papers in order! It’s imperative that you know all the legal procedures and complete your paperwork in advance. You don’t want to be in the position where you have to turn down a client because you haven’t allowed enough time to obtain a particular licence or certificate. Make sure you obtain business insurance to cover your employees as well as the public. To find out more about procedures and the event planning process, read our blog post "The Event Planner’s Checklist: For The Event Organisers That Don’t Want To Miss A Thing" and download you FREE copy of The Event Planner’s Checklist. So you’ve dotted the i’s and crossed the t’s, what next? It’s time to market your services. Sending out brochures and emails to promote your company is a good way to start, however, if you have the budget, why not showcase your services by organising a launch? Sending out email invitations to your prospective clients will enable them to see your company’s marketing machine in action and sample the services that you could provide. Ensure that you create a seamless experience for your attendees by simplifying the event registration process and offering them mobile event applications. You can find more information about Event Registration and Attendee Management here.